Have you lost your career confidence since you became a mum? Read why we believe that being a mum actually makes you a BETTER career or businesswoman. 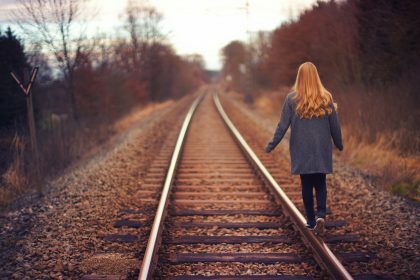 All too often we all focus on the many ways that being a mum can negatively impact your career. But what about the other side of the coin? Are there ways that you are actually a better career or business woman once you have children? We think so. Suddenly becoming responsible for the existence of another being gives you the opportunity to grow in ways you could never have imagined – and this personal growth can give you a whole new perspective on work. It’s inevitable as a mother that you’ll develop a whole new set of skills. Maybe you find yourself becoming more patient, or able to react more empathetically. Perhaps you are able to set and enforce boundaries and schedules more consistently than you could before. Or it could be that you’ve developed an increased ability to identify the best way to motivate others. Each one of these skills transfers seamlessly from your role as a mum to the workplace, and are crucial characteristics of a good leader. 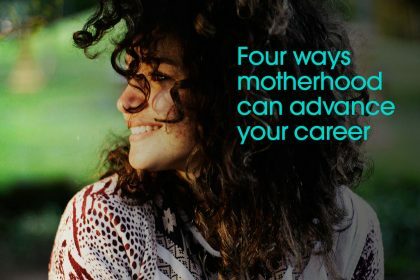 And rather than losing skills and experience after your maternity leave, you may actually find that you now excel in areas you previously found difficult. 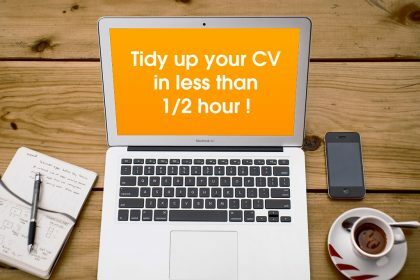 We think that taking time away from the coalface of your career can actually be a good thing. It’s easy to blindly pursue a particular path when you’re in the thick of it. But a break from work allows you to gain a valuable perspective. 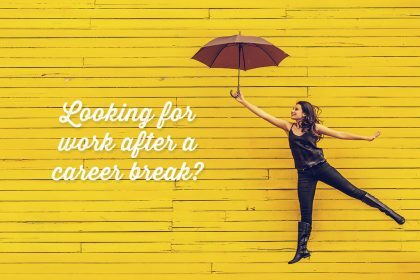 Whether you take just a few months or a year or more off on maternity leave, the break from work enables you to think about whether you’re really in the right role, or even career. And nothing makes you more coldly assess how much you really love and enjoy your work than having to leave your precious new child to return to it. Motherhood inevitably reshuffles your priorities, and helps you to put your career into persecutive. That doesn’t mean that you are necessarily any less ambitious, but just that you’re less willing to accept situations that aren’t right for you. The break from work also gives you a chance – once those first early sleep-deprived weeks have passed – to make plans to change what you need. This may include looking for a new job, renegotiating the terms of your current one, or even starting a new business of your own. So when we do return to our work or business, you can bet that we are completely committed to it. We’re not there to wait out the hours until we can go drinking with our friends – we’re there because we need and want to be. As a mother you have to learn to be prepared. From day one a vulnerable baby relies on you to stay alive, and you need to make sure they have enough milk to survive, and that you’re ready with nappies and another essentials. Even once they get older, your responsibilities don’t lessen. From keeping them safe on the school run (we love how these backpacks combine style and practicality, while helping your kids stay visible in the dark), to ensuring they’re prepared for their university years, you never stop worrying or protecting them. This innate ability to foresee and plan for potential problems is something all mums seem to acquire, and can be a real benefit at work or in business. While other colleagues may have their heads down, focusing on what they need to do right now, our mum’s antennae is constantly on the alert for potential issues. From minor irritations such as the printer running low on paper, to more important considerations such as ensuring that our business’ public liability insurance covers us for an upcoming event, we’re often the ones who anticipate potential issues and work out a way to solve them long before our colleagues are even aware that a problem is on the horizon. Research shows that mums who work flexibly are the most productive employees. And we’re not surprised. When you only have a set number of work hours because you need to get back for childcare or to prepare dinner for your children, you don’t have time to sweat the small stuff. This means that you’re usually more productive and decisive, and less likely to get embroiled in office politics and gossip. Having been through childbirth, and nursed a newborn through those tough and exhausting first few weeks, we’re also tougher than most – plus we have our career in a realistic perspective. All of which means you’re less likely to find us crying in the kitchen because Malcolm in accounts gave us a nasty look, or we can’t get Excel to format properly. In fact, we’re more likely to be the one comforting and coming to the rescue of younger members of staff. After all, we are mums! This newly-discovered inner strength is a real asset to businesses. We can take pressure, and will practically resolve an issue, rather than waste precious working time debating on the rights and wrongs of the situation – so we can leave work on time, confident that we’ve done an effective day’s work. 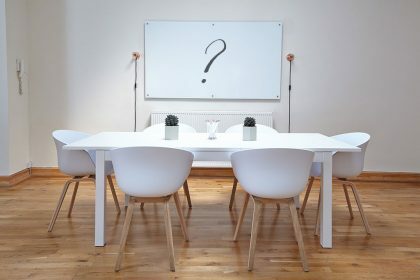 Think about some of the qualities you’d expect to find in a CEO: being responsible for other people, managing their schedules and the budget, making sure everyone is happy and motivated, praising when appropriate and criticising when necessary, and striking just the right balance between being friendly and a figure of authority. Now compare these to all the qualities you need to be a great mum. Not too dissimilar, are they? The fact is that running your family home isn’t that far off the skills you need to run a successful business. So if you can raise a family, why can’t you run a business, or aspire to do so? Bear this in mind the next time you feel that your role or position at work is somehow lesser because you’re a mum. Why can’t it be the other way around? Instead, maybe you should really feel more confident at work as a mum, earn and demand more respect from your colleagues, and go for ambitious promotions. If you believe in your own abilities and potential, then you won’t just grow into it, but your colleagues will see it too. And who knows, maybe you will end up being CEO of your company as well as your home? And this is just the start. 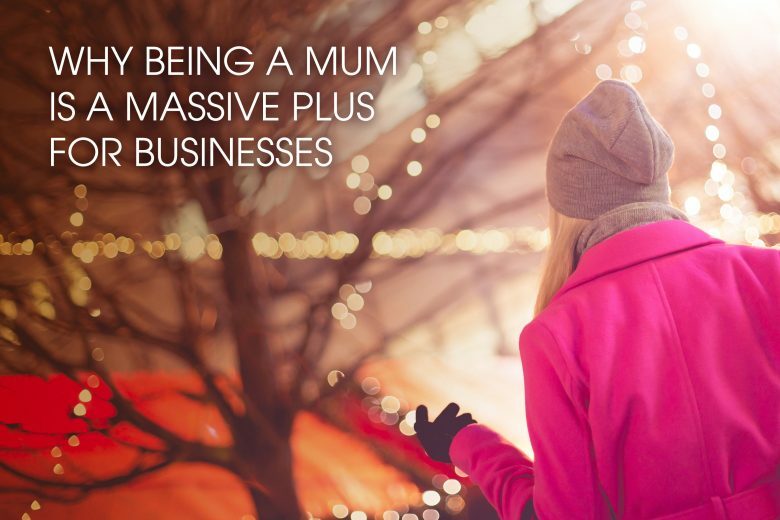 We could find plenty more examples of how being a mum makes you a valuable asset for any business – including your own. But we hope we’ve made our point. If ever you feel under-appreciated, lacking in confidence in your post-baby abilities, or nervous about returning to work after maternity leave, please come back and read this article. Then walk into your office with your head held high.